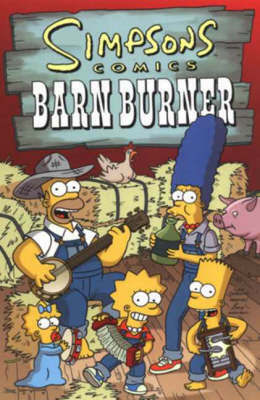 More satirical suburban shenanigans, courtesy of that most dysfunctional and wackiest of family units, The Simpsons! Be amazed as Bart and Lisa become superheroes in 'Stretch Dude and Clobber Girl'. Gasp in disbelief as Homer turns his hand to managing a boy band, gets mixed up in the local mayoral elections and then finally gets into the 'swing' of things as the latest dance craze hits Springfield. Finally, let your mind boggle as we have a blast from the past with Li'l Krusty, and Bart recounts some of his favourite Bible stories?!? Experience these and a whole slew of other strange stories in this latest bumper bonanza of Simpsons power! And that's just the first few pages!